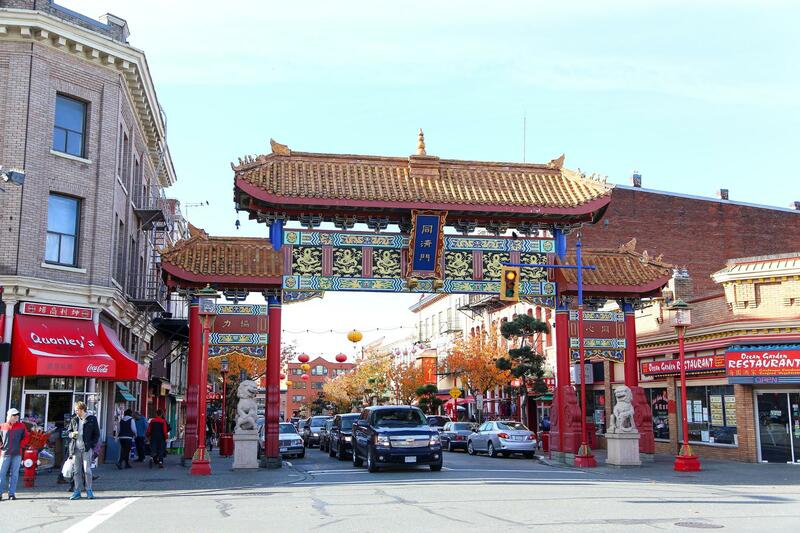 Victoria‘s Chinatown is a testament to the resiliency of the culture and traditions brought to Canada by Chinese immigrants more than 150 years ago. 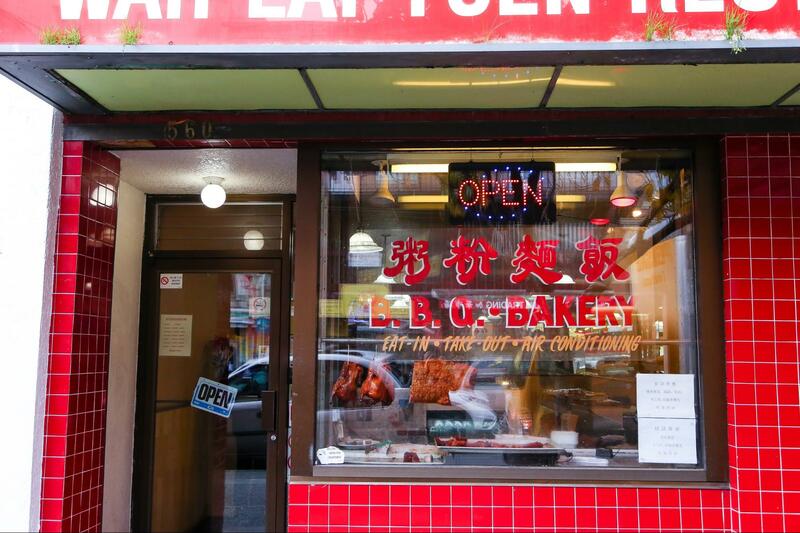 These days, Chinatown proudly stands out in the downtown landscape of BC’s capital. As one gets closer to the Gate of Harmonious Interest, the ornately decorated arch marking the entrance to Chinatown’s centre on Fisgard Street, the neighbourhood’s presence is revealed: bold colours of lucky red and gold, distinct architecture, and business names written in Chinese on shop windows. The Gate of Harmonious Interest, marking the entrance to the centre of Victoria’s Chinatown. Fisgard Street, the hub of Chinatown in Victoria. Ornate buildings line the Goverment Street block of Chinatown. 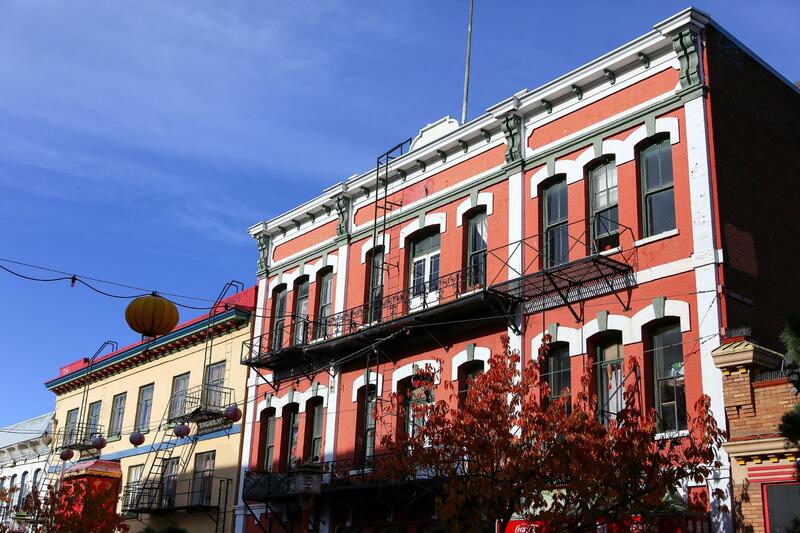 Victoria’s Chinatown started as a crude collection of wooden shacks, built by the Chinese immigrants who travelled with an influx of gold seekers, chasing riches in the Fraser Canyon and beyond to Barkerville. Over the years, word of work on the goldfields drew more immigrants from China, and around 15,000 builders came to work on the construction of the Canadian Pacific Railway – Victoria became the major entry point for Asian immigration to BC. By 1911, Chinatown had a population of more than 3,000. The Chinese Public School on Fisgard Street. The neighbourhood’s history has a seedy side of gambling and opium dens (in 1883, Victoria was home to 11 opium shops), distractions catering to a largely male population far from their homes and families. But Chinatown was most importantly a cultural community, one still present today, including a Buddhist temple, the Chinese public school, and community organizations, such as the Chinese Consolidated Benevolent Association, founded in 1909 to protect the rights and safety of Chinese immigrants, which still gather in second floor spaces along Fisgard Street. Fisgard Street, where community spaces and residential lofts can be glimpsed in second floor windows. Red and gold buildings along Fisgard Street. 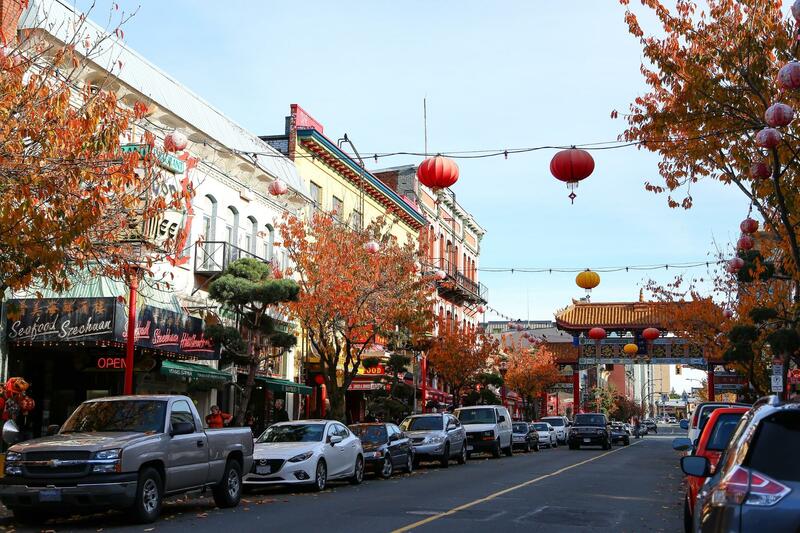 Chinatown was designated a National Historic Site in 1995, and these days is home to a vibrant mix of businesses. 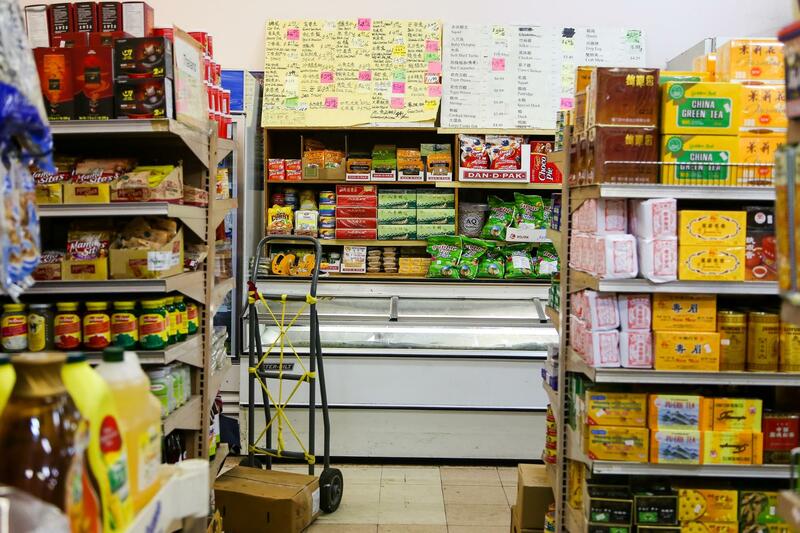 A grocery store on Fisgard Street, stocked with imported ingredients for all types of Asian-style cooking. 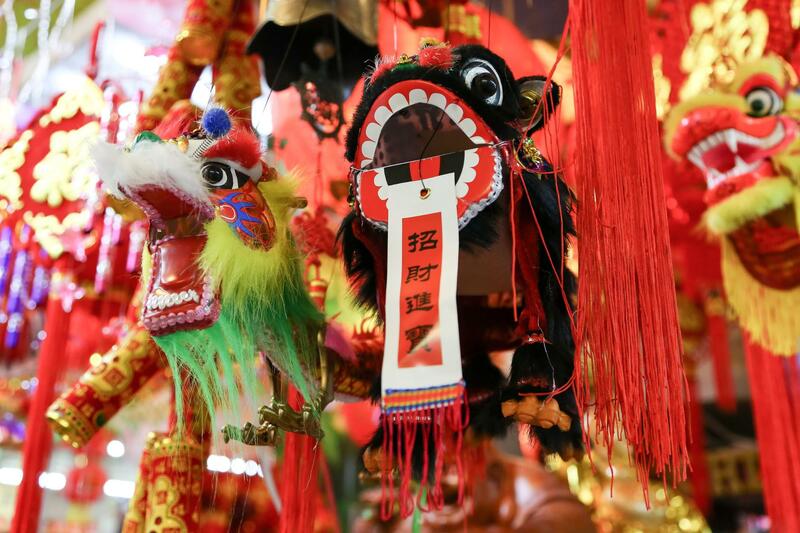 Shops selling souvenirs, hip restaurants and narrow alleys home to quirky shops and yoga studios exist alongside the traditions and culture of the Chinese people. These can still be seen in the neighbourhood’s special details: look for small shrines in restaurants, Chinese-style architecture on streetlights and a phone booth, and grocery stores stocked with unusual produce such as durian and dragon fruit, and other speciality ingredients for all styles of Asian cooking. 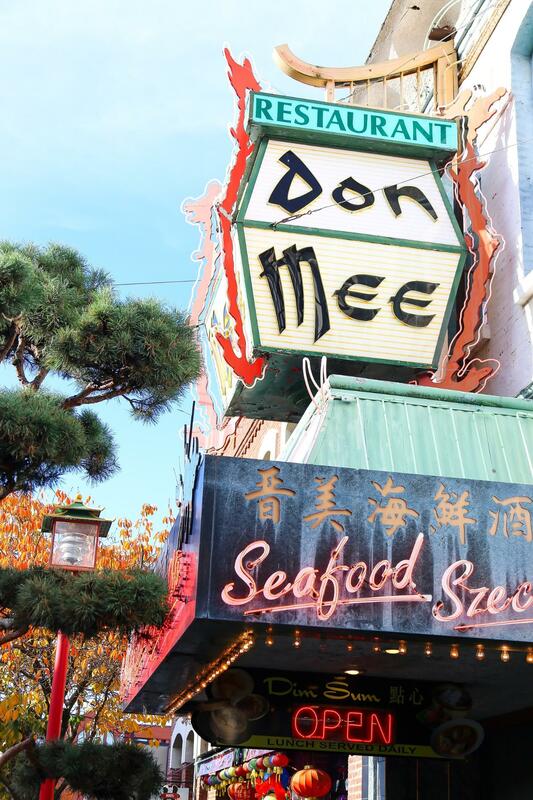 Don Mee’s second floor dining room has great views of Fisgard Street and delicious dim sum. The dining room at Don Mee’s restaurant. Those seeking noodles can find the hand-made variety at I Kyu Noodles, or order a box to go from the kitchen back door at Fan Tan Cafe. 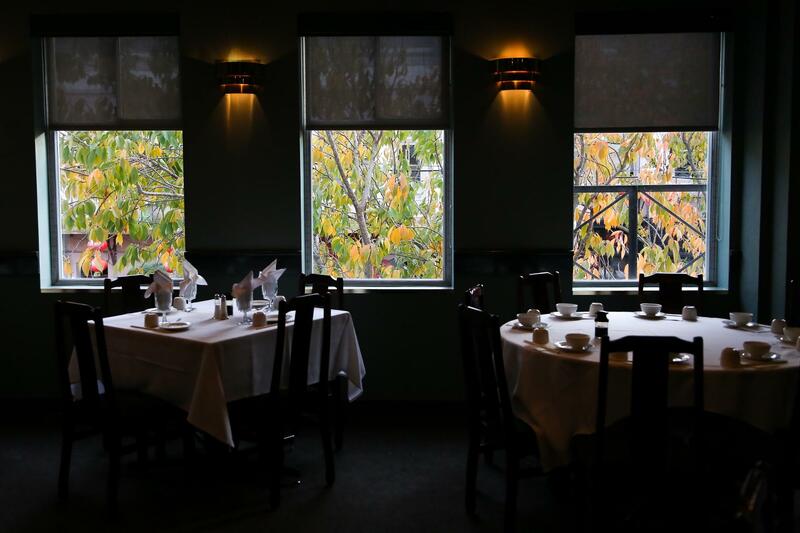 For a Chinese-style brunch, explore the myriad of options on the dim sum menus at Dynasty or Don Mee, where the second floor dining room offers a great view of Fisgard Street. There’s cheap lunch combo plates at Ocean Gardenor giant bowls of soup with dumplings and BBQ pork (straight from hanging in the restaurant’s window to your bowl) at Wah Lai Yuen. Habit Coffee on Pandora Avenue. BBQ pork hangs in the window at Wah Lai Yuen restaurant. Bean Around the World coffee on Fisgard Street. If you’re not in the mood for Chinese, the highly lauded Brasserie L’ecole serves hearty French cuisine, including an always wonderful steak and frites, while Olo and Mo:Le celebrate farm-to-table food. 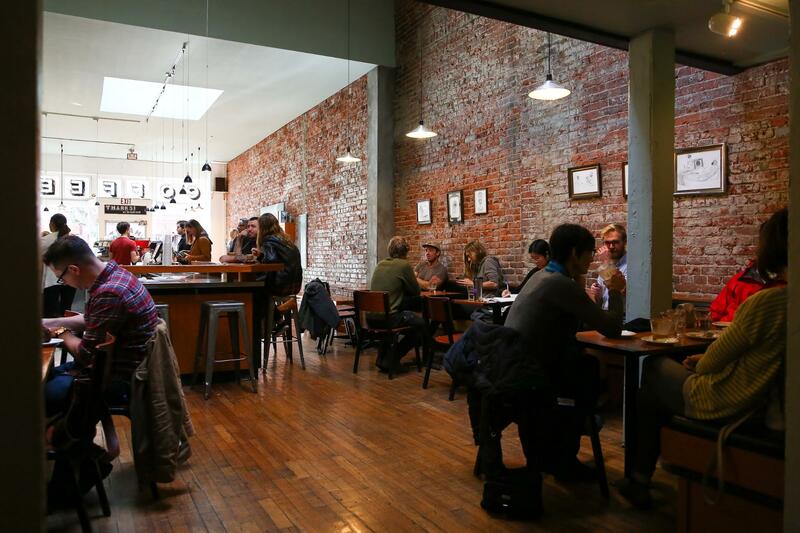 Habit Coffee and Bean Around the World are perfect places to pass the time with locally roasted coffee, and Venus Sophia Tea Room and Silk Road carry a plethora of options for tea-drinkers (you can get a massage in the Silk Road spa, too). 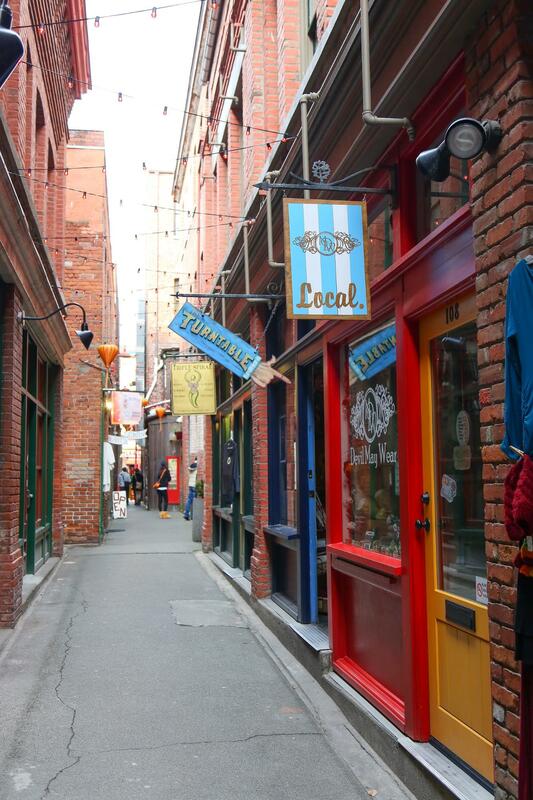 Shops in Fan Tan Alley, one of the the narrowest streets in Canada. Souvenir hunters can get lost in the endless rooms of Fan Tan Trading Co., or Victoria Dragon Village, or explore the shops lining the lantern-lined pathway of Fan Tan Alley for locally made clothing and bags, or used vinyl records. 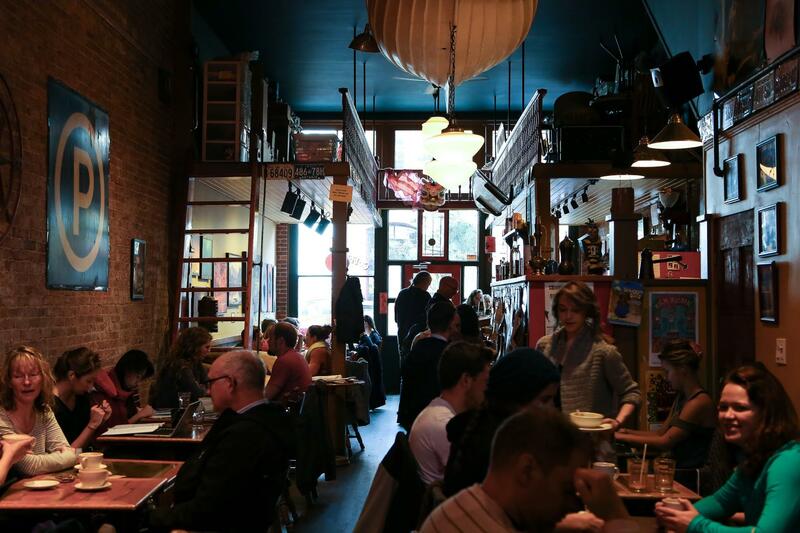 Unique furniture, clothing and even tattoos can be found in the neighbourhood, too. Dragon puppets in the Victoria Dragon Village shop. 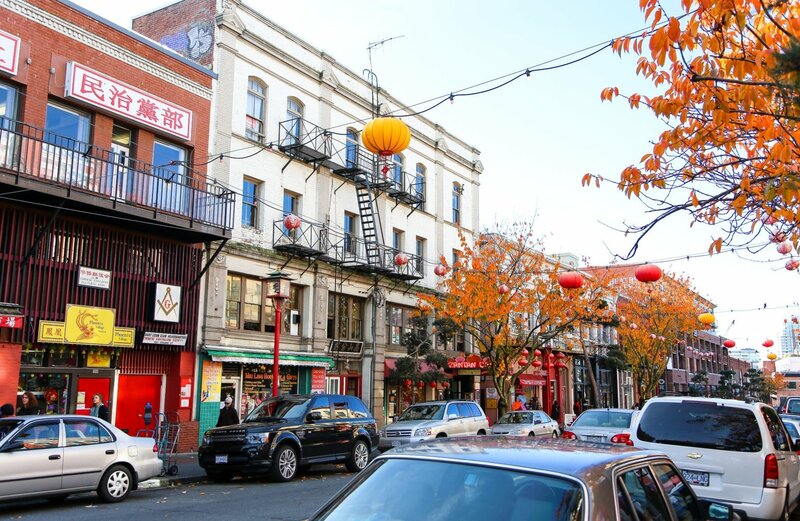 Although Chinatown only encompasses a small part of downtown Victoria, it’s worth taking a stroll through its colourful streets and narrow alleys. 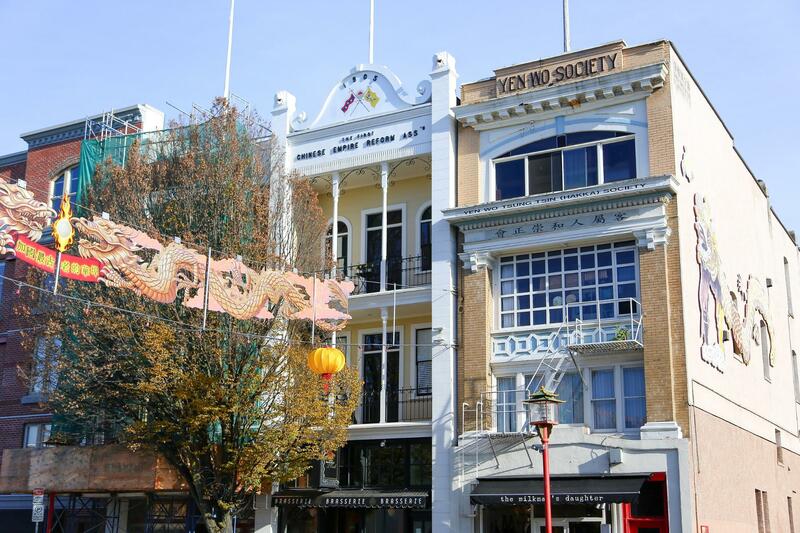 To enhance the experience, join a tour with Chinatown Walks or download the self-guided Mysterious Chinatown tour pamphlet from the City of Victoria. 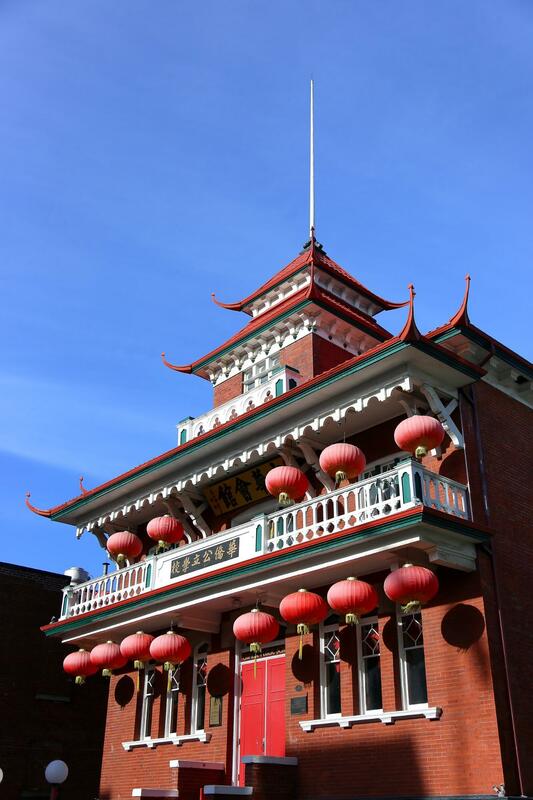 Take in the heritage buildings and delicious food, and experience the resiliency of Chinese traditions so lovingly preserved since the first Chinese immigrants arrived in Canada.